Like most physicians - I like the concept of an electronic health record (EHR). It is just that the real EHR as it exists is a far cry from the concept. The proponents of the current EHR, especially those who want it mandated by legislative activity continue to brag about the savings and all of the benefits. Any physician looking for information or an ability to enter and move information without ending up in a click fest of mouse clicks knows the reality. Any physician looking for a note that reflects an intelligent conversation between a physician and a patient is also left wanting. Reading the electronic or printed out version of the EHR usually results in very choppy documentation. Lists that are the result of not very intelligent coding by EHR IT engineers, notes produced strictly to meet billing and coding bullet points, and notes produced because they could be rapidly compiled with features like smart text. All of this can be a nightmare for a compulsive physician like myself who wants to use all of the relevant information in patient care. My career has been treating patients with complex medical conditions who are also on complicated combinations of medications. Many have known heart disease and take combination of medication that can adversely affect their cardiovascular status and interact with psychiatric medications that I prescribe. All of that needs to be considered. Since ziprasidone (Geodon) hit the market in 2001, psychiatrists have been preoccupied with the QTc interval. The QTc interval is the electrical interval that corresponds to the contraction and relaxation of the left ventricle. In cases where this interval is too long it predisposes the patient to ventricular arrhythmias some of which are potentially fatal. The FDA had a warning on ziprasidone about the potential for QTc prolongation and subsequently came out with warnings about citalopram. In the course of clinical practice, many psychiatrists had already encountered this issue with older antipsychotic medications and tricyclic antidepressants. The FDA makes these pronouncements but gives physicians no guidance on what to do about the clinical situations. I have a practice of looking at ECGs and any Cardiology evaluations that have been done. That is the only way the QTc interval can be determined and even then there are various factors that can affect it. Rather than order an ECG, I will ask whether they have already been done and get the patients consent to have them faxed to me. That result is frequently disappointing, especially in the case of the EHR. I will often get a series of cryptic sheets, that look like a sparsely populated medical record. There are often no coherent notes from physicians or if they are there, they do not contain standard information that I am looking for. I have never seen an ECG tracing contained in these stack of records. The best I can hope for is a brief note that lists an impression like "NSR - no acute changes." An added bonus would be an actual description of the critical intervals. For the tracing at the top of this page it would say: "PR interval - 164 ms; QRS duration - 100 ms; QT/QTc - 434/415 ms." That is really all of the information I need to know. But the most important issue with the EHR is that all of this visual information is usually lost, unless I submit a second or third request and it usually has to say "send me the ECG tracing." The medium that purports to provide a lot of information to physicians and put it at their fingertips is a bottleneck. By the time I see the information I need to see, it is not necessary. I have moved on and not recommended a treatment that I could have recommended if the ECG was normal. That practice has been reinforced by getting an ECG after the fact and realizing that not only was there a prolonged QTc interval, and it was read that way by a Cardiologist but reported as "normal" in the EHR. I will be the first to admit that there is minimal evidence that my tight QTc surveillance has saved any lives. But my threshold is really to prevent any complications. I am not treating acute heart conditions. I am trying to make sure that I don't cause any by the medications that I prescribe, by ignoring a critical drug interaction, or by not recognizing the significance of a patients physical illness and how it needs to direct the therapy that I prescribe. That doesn't end at ECGs. I would throw in imaging studies (CT and MRI), EEGs, and even routine labs. If the EHR is supposed to convey the maximum information why wouldn't all of the visual information of an episode of care be included? Why can't all of the brain imaging studies be sent along as a disk or e-mailed to me? Why do I have to read a 200 page fax and try to reconstruct all of the lab results in a coherent manner that are spread randomly across those pages so that I know what happened in the hospital? The EHR as it currently exists is a tremendous burden to physicians. It takes far too long to enter data and quality notes about care are rare. If you happen to lack online access to the program where the record is constructed, good like trying to piece together the information that you need for clinical decision-making. Politicians are good with ideas, but none of them seems to be aware of the real problems that exist in these systems. Despite that lack of knowledge they continue to insist on the wide implementation of these systems and that is really a tax on physicians that is being used to subsidize the development of EHRs and fund this industry. Hopefully that will pay off someday, but the current problems have been there for at least a decade and there are no signs that they will be going away soon..
“My point here is that when discussing an actual case, the ideological wars melt and people from multiple sides of a debate can usually agree. "Clinician trumps Ideology." From 1BOM March 30, 2015 post. Not sure that I follow that line of thinking. That has not been my experience in psychiatry or any other medical specialty. There is plenty of ideology and a lack of technology across the board. There is also the dirty little word that nobody likes to see affiliated with medicine and that is politics. As far as I can tell a lot of the ethical debates in medicine are all politics. I can point out several on this blog. There is also the question of uncertainty. I can recall being a grunt in a new drug protocol that I will not name but I will say it is in a therapeutic class almost never prescribed by psychiatrists. My job was to do the medical and psychiatric evaluations and assure that the patients were medically fit to continue the protocol. Part of the weekly screening was an ECG. I looked at this patient’s ECG, determined it had been changed and told the monitor that I was stopping the protocol. The monitor got very angry at me because the patient was 2/3 of the way through the protocol and would not count as a completed patient. I referred the patient immediately to a medicine clinic and they agreed the ECG was changed. The patient was advised to come back for routine follow up care. They could not comment on the study drug and they did not recommend any acute care. The monitor remained angry, but I stood my ground and the patient was taken out of the study and referred back to medicine. A week later the patient had a major medical complication and ended up in the ICU. The monitor and the chief investigator both thanked me for taking the patient out of the protocol at that time – one week later. The monitor apologized for getting irate with me. 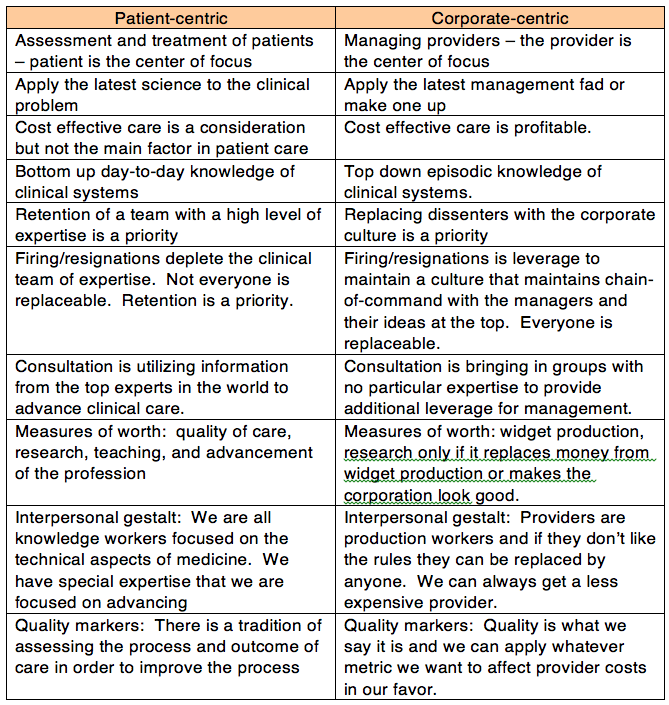 So the rub is – am I more “ethical” than the monitor (who was not an MD) or am I just lucky? Uncertainty certainly can make you look like a hero or a zero in a hurry in medicine. In this case an internist did not have any reason for concern even though the ECG was clearly different. Was the ECG change causally connected to the ICU incident? Was it casually connected to the study medication? Or was the decision to stop the protocol more related to my blue-collar anti authoritarian roots? To this day nobody knows (but as I age I am more inclined to credit the roots). And what if I had no markers and the person had stayed in the protocol and ended up in the ICU on the study medication? Certainly the company and the FDA would have investigated the study and me and my methods. Would I have been vilified as just another researcher working in the interest of a pharmaceutical company? Would it have been good press for somebody trying to benefit at my expense? My only thoughts at the time were in the interests of the patient. But that difference in course could have been career changing for me, despite the fact that my only interest then and in the past 30 years has been patient safety. Situations like this are easily politicized and there is a very porous boundary between politics and ethics. Supplementary 1: For the whole story go to the 1BOM blog and start reading at the link. The above table is really all that you need to know. You don't need to know anything about psychiatric diagnoses. You don't need to know anything about medications. That is typically how the problem is approached these days. What could have gone wrong? What kind of mental illness could account for what happened to this person? Let's get a panel of experts together, put them all on TV and have them speculate about what type of mental illness the person might have. I have never observed this to be a useful exercise. How could it be? There are just too many conflicts of interest and too much entertainment bias for anything of value to occur. The diagram is meant to illustrate the basic transitions associated with many mental illnesses and how the problems occur. It appears to be very simple and it is even more simple than depicted. 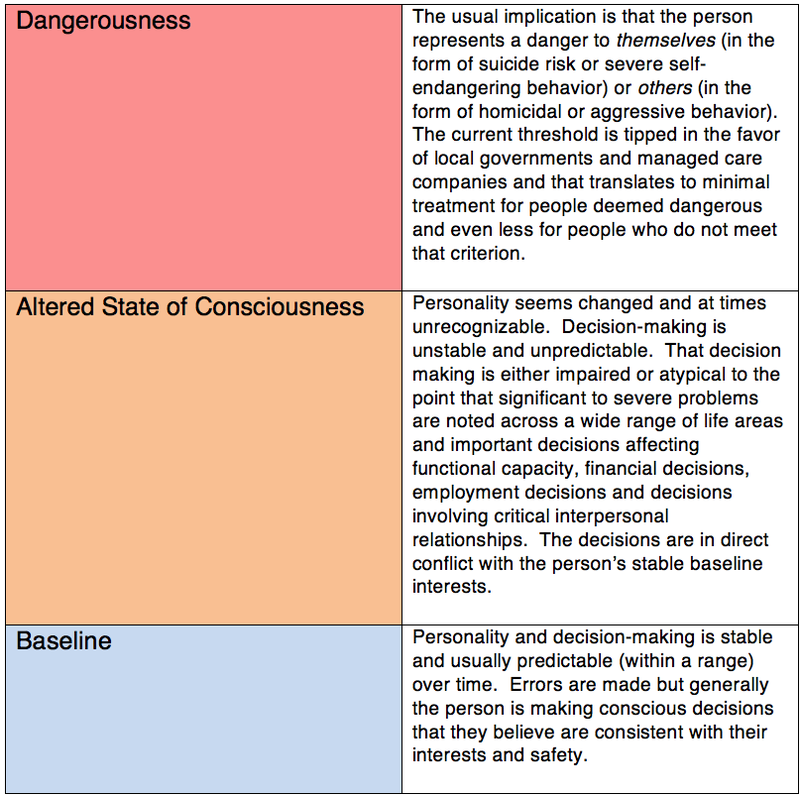 The top two zones - both Dangerousness and Altered State of Consciousness can be combined because Dangerousness has no medical or psychiatric meaning. It is a legal and/or managed care definition. From the legal side of things it determines grounds for civil commitment, guardianships and conservatorships. More importantly it determines when courts can dismiss these cases and not spend money on the people brought to their attention. In the case of managed care companies, they view dangerousness as the only reason that somebody needs to be in a psychiatric hospital. The diagram illustrates why they are wrong. Rather than considering this process to be tabular a Venn diagram might be a better way to view things. I constructed this one looking at some relative contributions of these conscious states. Keep in mind that the dangerous conscious state here is an artificial legal and insurance company construct and that all of the demarcations here are permeable to indicate that transitions between states commonly occur. A porous line might be better but I am limited by my software. 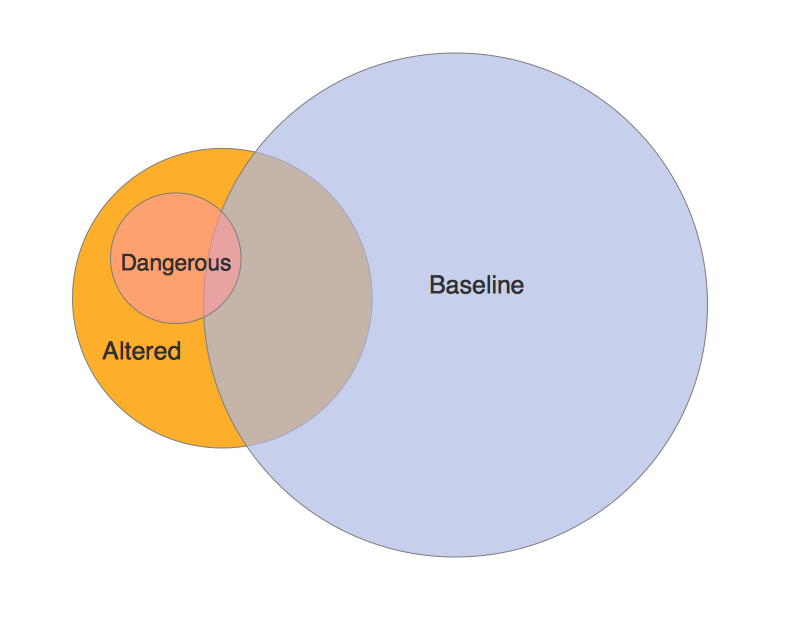 The diagram also illustrates that in these transition zones the difference between an altered and even dangerous state may be practically indistinguishable from the baseline state. The simple 3 row table also describes what families have observed happening since ancient times. It has only recently been modified to include the role of physicians, medications, insurance companies and local governments. What do I mean about family observations? Within the timeline of any family, the generations observe their members starting out as a vigorous young people and going through the expected developmental stages of adulthood. The trajectory is predictable with some notable exceptions. Some family members will get sick and die unexpectedly. Some may get sick or injured and become disabled. That is as true today as it was a hundred years ago. It is also the case that the disabilities can be mental problems as well as physical health problems. They can be something that you are born with or something that you acquire along the way. Most families have stories about members who experienced some kind of transitional event and they were never the same afterwards. That transitional event could have been a serious illness, an accident, an episode of psychological trauma, exposure to combat, excessive exposure to street drugs or alcohol, changes in interpersonal relationships, or losses of significant people in their life. There is a consensus in the family. They all see the person as changed. That change is sometimes positive, but typically the person seems less well and less capable of handling life's everyday stressors. The diagram attempts to illustrate what families observe in terms of personality characteristics and decision-making. The real sequence of what happens is far from that linear. Problems are often noted over a number of years. Drug use and other behavior problems are often theories that families have before there are more clear cut symptoms allowing the diagnosis. The concepts of pre-clinical, sub-clinical, and latent syndromes are described by some researchers. But the main point I am trying to make here is that the pathway is not linear and there are associated changes in the person's conscious state. There is rarely a sequential pathway to a significant mental illness. There are starts and stops and often misdiagnosis along the way. People can pass back and forth between an altered state of consciousness and their baseline mental status for a long time before any psychiatric diagnosis is declared. Psychotic depression is often a difficult illness to diagnose and treat. Consider another common scenario. An elderly woman walks into her kitchen and discovers her husband pointing a shotgun at himself. She convinces him to put the gun down and go to see their doctor. She is completely shocked about the suicidal behavior and did not see it coming. They have been married for 40 years. Her husband had no prior history of suicidal behavior or depression. As they talk with his primary care physician, she corroborates that he seemed to have been sleeping well, but seemed less spontaneous and "happy". She was shocked to find out that he had lost about 15 pounds. He is sent to a local hospital where he talks with a psychiatrist and at one point says: "I just could not go on living anymore." Further questioning leads to a discussion of an event that occurred when he was in high school (over 65 years ago) that he was guilty and embarrassed about. His worries about the event continued to build until he got to the point that he saw suicide as his only means of relief. He was too embarrassed to discuss it with his wife. He had the original suicidal thought over 6 months ago and he observed it "come and go" over time. This is a good illustration of how delusional guilt can be associated with transitions between baseline and then within the altered states model to one that is potentially dangerous. It also illustrates how the individual life experience of the person is relevant. 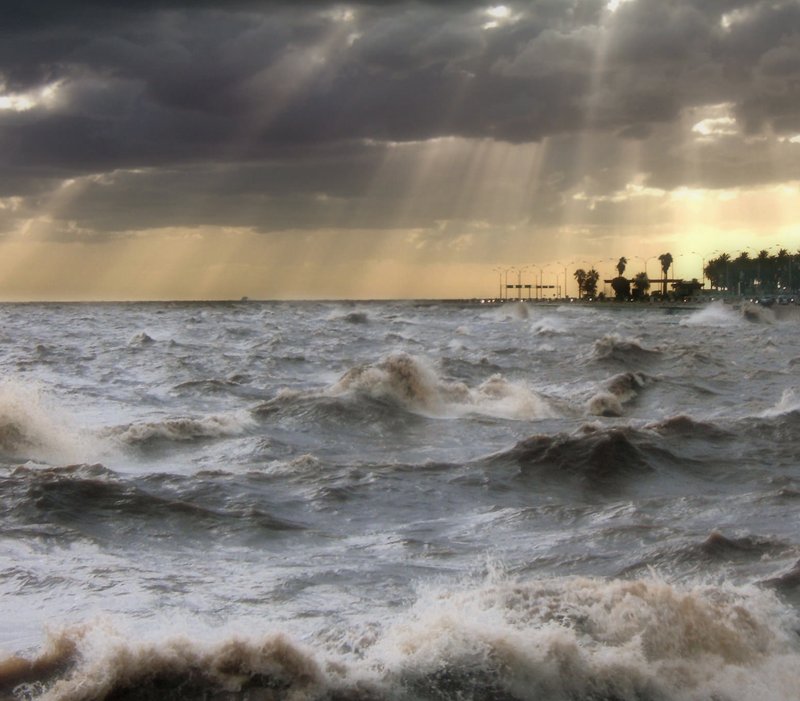 Manic and hypomanic patients often have transitions in their mood state. Families members will call and say that the person needs to be in the hospital because they are keeping the whole family up all night and there have been some dangerous confrontations as a result of the sleep deprivation. The patient can present very calmly and declare that the only problem is their family. They may not acknowledge that they are spending money excessively, driving recklessly and starting to drink a lot. Since they do not believe that there are any problems they will refuse crisis care, sleep hygiene advice or medication changes. They are incapable of recognizing a change in their conscious state that puts their marriage, finances, and health at risk. With many people this can be a self limited change, but in others it can lead to mania and psychosis or severe depression. At the critical point where the altered conscious state could be treated, they are unable to process that information and make a decision in their best interest. They may come back later and tell the psychiatrist who was trying to make an acute assessment that they were really out of it at the time but during the acute episode they were not able to see this reality. 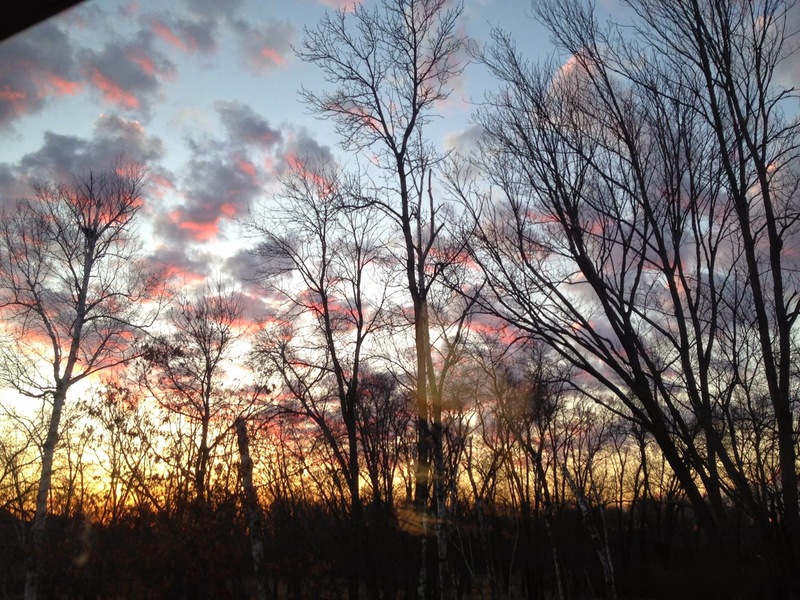 Altered conscious states also occur in outpatient settings. It is not uncommon to talk with professionals who need a specific medication that is prohibited by their licensing or regulatory body. These are typically professions that regulators decide can inflict a significant amount of damage if they are compromised in some way by prescription or illicit drugs. In the case of a person concerned about losing that profession, not reporting the medication or not taking it can happen. That can occur as both a direct attempt to mislead regulators or as a result of impaired decision making from a substance use or mental disorder. From what I have seen about the way that mental illness and substance use can alter conscious states, figuring out how to recover baseline conscious state is far from clear. The first issue is that there is no real focus on the problem. Psychiatric hospitalizations depend on a handful of yes-no questions about suicide and in some cases homicide. I was recently told that a psychiatric hospital said that their admission criteria was: "You have to be suicidal and we have to be able to discharge you in less than a week." That statement is so far from the reality of how mental disorders need to be treated it is stunning. That statement shows a lack of regard for quality assessment and treatment. There is no apparent interest in restoring a person to their baseline or even finding out what that baseline was. On the other hand, I have had active discussions with psychiatrists who were interested and actively talked about these things to their patients each day. If you are such a psychiatrist, patients will often say that in retrospect their very interested and compulsive psychiatrist missed the fact that they had significant suicidal thinking or that their were probably psychotic in a previous interview. The life ruining events discussed in this post and the possible mechanism illustrate that our lives are a complicated web of social interaction. We make decisions based on that web every day and all day long. Going into a hospital and being discharged based on whether or not the suicide question is endorsed or whether or not you are aggressive is a very low standard of social behavior and ability to function. It takes a lot more than that to stay married, stay on the job and perform it safely, stay in the role of spouse and parent, and stay in a stable living situation. Those are the real goals of assessment and treatment when it comes to recovery rather than ruin. The necessary decision making is linked to a conscious state that may be in a state of flux during an acute episode mental illness. It is important to recover and recover completely. Being familiar with baseline conscious state rather than a list of symptoms as being a good measure for this seems like a reasonable approach. That may seem like an odd topic for a psychiatry blog but I did not know where to put this. Earlier this week my wife and I decided to stop watching a popular television show called The Following. It is basically a fictional show about a death cult that involves a charismatic psychopath who engages other psychopaths to do mass killing. They typically use knives as murder weapons and kill large numbers of innocent people at public gatherings like book signings in book stores. In one episode last year, the main psychopath in the show happened across the camp of another death cult run by a different psychopath and it was the expected lethal battle for leadership. The dramatic tension is created by a group of FBI agents trying to catch and stop the psychopaths and the personal stories in that group. In the opening show this year, there was a murder scene that was explained to the audience and then implicitly done that was so sadistic and so sick that we decided to shut off the show and never watch it again. Violence and aggression are always in the background in America. We take violence and aggression for granted and it seems surprising when they are excluded from entertainment. What no car chases or shootings? And it has been there a long time. I can remember being in East Africa in the 1970s and at that time many of the Africans that I met, had the idea that most Americans carried guns. That conclusion was from watching American films. There has always been the debate about whether or not the display of all of this violence affects people. Like practically all research of this type, I would expect the results to reflect the biases of the researchers. Typical research would look at a large group exposed and not exposed to violence in the media and the results are mixed. Mixed results lead to the status quo, but the status quo has gradually gotten worse. Television shows commonly have sadistic serial killers as their plot line and in one case a serial killer is the main character and hero. "One conclusion appears clear-extreme conclusions are to be avoided. Not every viewer or player will be affected noticeably, but from understanding the psychological processes involved, we know that every viewer or player is affected in some way." Many clinical psychiatrists have talked with people who have perpetrated violence based on some act that was portrayed in the media. These stories are also described in the media with some regularity. I think that if there are any factors containing a media effect it is the moral development of most people and that fact that a lot of the violence is hypothetical and it could not be enacted without considerable resources. Factors that may facilitate violence after exposure would include a developmentally immature brain or a brain that would be more susceptible to the priming effects of violence. That would include various forms of severe mental illnesses or personality effects like psychopathy or antisocial personality disorder. In many cases the perpetrators of violence has no idea about how devastating injuries can occur from fictional portrayals where people get up after being hit over the head with a pipe. They don't realize that in many cases that results in a fatal or disabling brain injury. The overriding dimension affecting violence that needs to be addressed is at the cultural level. A critical recent development is the resurgence of the death cult. The concept of death cult is poorly defined at this time and as far as I know there are no definitive scholars. They seem to come in two forms. The first requirement is a cult or an organization with a charismatic leader and followers who are willing to uncritically follow the edicts of the leader. There have been various studies of the dynamics of these groups and who might be susceptible to becoming a cult member. Jerrold Post, MD has analyzed the dynamics of charismatic leaders and describes them as "mirror hungry" personalities that require constant admiration, convey a sense of omnipotence and grandeur, have the appearance of certainty, and rely heavily on splitting as an adaptive psychological defense (2). Death cults seem to come down to 2 varieties - those predisposed to mass suicide and those that are predisposed to homicide and mass homicide or in some cases genocide. For the purposes of this post, I am focused on the latter, because they seem to pose the most immediate danger to the most people. Prototypical homicide focused cults or movements in my lifetime have included the Nazis and Pol Pot. The concept of "charismatic leader" can probably extend to larger groups of extremists that have been described as being responsible for genocides (3). Over the past 30 years, we have seen many of these cults or movements commit homicide to various degrees often with loose religious rationalizations. The killings have become increasingly vicious and sadistic. The killings have reached a level of intensity that all of the religious justifications no longer seem to apply. The international solution has been to mobilize against these groups and in some cases, explicitly threaten to kill them. The media is always complicit with death cult propaganda and the resulting desensitization may have been one of the factors in the escalation. This is an interesting parallel with television entertainment that seems to be in the same cycle of escalating to the most horrifically sadistic and brutal types of killing and torture. "Fascist ideology can have particular appeal for the survivor self fighting off disintegration because it holds out, at all levels, a promise of unity, oneness, fusion. It deals with death anxiety, moreover by glorifying death, even worshiping it. While one's own death as a warrior is idealized, the self mostly escapes death - achieves the death of death - by killing others. There can readily follow a vicious circle in which one kills, needs to go on killing to maintain one's cure, and seeks a continuous process of murderous, deathless, therapeutic survival. One can then reach the state of requiring a sense of perpetual survival through the killing of others in order to re-experience endlessly what Elias Canetti has called the "moment of power" - that is the moment of cure." p. 499. Lifton knows full well that the fascist thought process that he describes is not a diagnosis, but it is the way that large groups of people can think. It has been present since the time of ancient man. You can find theories about how it is "hardwired" into the human brain with suggestions that it is adaptive. The only real way we can combat it is through educating people about what is really going on, improving critical thinking and changing popular culture. Teach them how to recognize biases and overcome them. A basic skill would seem to be able to recognize a death cult and realize why participation may not be in your best interest. It goes without saying that it could not be in the best interest of civilized society, but the philosophy behind that probably needs teaching. When I turned off my TV set the other day, I was not seeing it as a protest. But if media producers realize that abhorrent violent content is less interesting that may be an important cultural change. 1: Media Violence Commission, International Society for Research on Aggression(ISRA). Report of the Media Violence Commission. Aggress Behav. 2012 Sep-Oct;38(5):335-41. doi: 10.1002/ab.21443. Epub 2012 Aug 10. Review. PubMed PMID: 22886500 (full text available online). 2: Jerrold Post, MD. Personality and Political Behavior. Door County Summer Institute July 21-25, 2003. 3: Alan J. Kuperman. The Limits of Humanitarian Intervention - Genocide in Rwanda. Brooking Institution Press. Washington, DC (2001) p. 12. 4: Jeffrey Goldberg. Is It Time for the Jews to Leave Europe? The Atlantic. April 2015. 5: Robert Jay Lifton. The Nazi Doctors. Basic Books, New York (1986) p. 499. Supplementary 1: I would not encourage anyone to watch the television program in question that I mention in paragraph 1. I have seen plenty of media violence, but consider this depiction to be the worst. What does it cost to stop marketing an addictive drug? I won't bother to repeat the usual statistics on how addictive cigarettes are or the fact that nicotine is one of the most addictive drugs. Cigarettes have a special place in the hearts of psychiatrists in my generation because when we first started practicing they enjoyed significantly more status in terms of public opinion than they do now. I can recall running a therapy group at a VA Medical Center where at least half of the group was smoking during the session. The cigarette smoke was so thick that the ceiling panels turned from white to bright orange over the course of a year. I asked one of the staff what kind of paint they use to make them look so good and he said: "Oh they don't paint them. They just replace them and throw the old ones away." Too bad you can't do that with lungs. As activist attorney generals took over and got more and more smoking regulations, the last bastion of smoking in hospitals was inpatient psychiatric units. They were two schools of thought on inpatient units that pertained to smoking. The most benign was also the most paternalistic and condescending. It went something like this: "Cigarettes are all that some of our patients have. Taking them away will deprive them of their only sense of enjoyment." Really? The second was the theory that without cigarettes or access to cigarettes it was guaranteed to trigger increased anger and aggression if access to cigarettes was denied. Some of the patients in question were compulsive 2+ pack per day smokers. The politics of smoking on inpatient units was even more complex. Battle lines were naturally drawn between staff who were smokers and nonsmokers. That was complicated by what each faction wanted you to believe. For example, the nonsmokers doubted that depriving a smoker of his or her heaters would have any effect at all. People with acute mental illnesses would willingly stop smoking for days or weeks in the interest of everyone's health. The pro-smoking faction of the other hand knew what going cold turkey was like and they predicted many more incidents of uncontrolled behavior. I attended conferences where both parties produced data. The data presented was consistent with the political orientation of the researchers. The smoking cessation folks always posted data showing that people could acutely stop smoking without any major problems. Reality always seems to produce a much different result than research. I won't post any war stories, but I will say that the reactions covered the expected range of quiet resignation to rage. The proliferation of nicotine substitutes, nicotine substitute polypharmacy, and "smoking passes" led to fewer problems. Eventually hospitals banned smoking in any area of their campus forcing patients and staff to cross the street for a cigarette. As the tide began to shift against Big Tobacco they sustained a number of setbacks. In 1998, there was a record $246 billion settlement with state attorney generals. Smoking rates began to drop and suddenly smoking in public places including bars and restaurants was the order of the day. In 2010, the Family Smoking Prevention and Tobacco Control Act was passed. This Act set standards for labeling tobacco products and also rules about flavoring cigarettes and marketing them to minors. It also established some limits in terms of what the FDA could do in their regulatory role with tobacco. 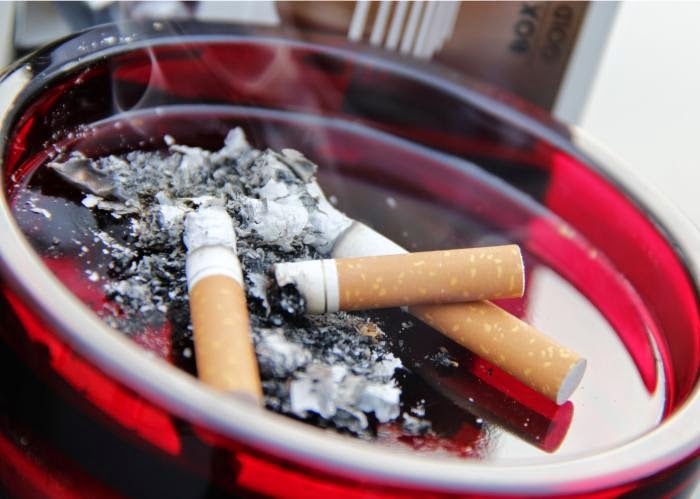 At the clinical level it is known that some psychiatric populations absorb nicotine per cigarette amounts on the higher end of the typical 1-3 mg per cigarette due to more puffs per cigarette and a shorter interval between puffs. They also take a shorter time to resume smoking another cigarette. Psychiatric populations are at much higher risk for smoking and increased cardiovascular mortality (Reference 1) and nicotine exposure potentially increase the risk of exposure to other addictive drugs (Reference 2). With all of the tightening in the area of tobacco regulation it was quite shocking to learn that these regulations not only do not apply outside the US, but in some cases where countries are trying to develop similar regulations, tobacco companies are fighting back. In a number of these countries like Australia, Uruguay, and even the United Kingdom, tobacco companies are suing against the use of graphic health warnings and restrictions on advertising. This legal action has led Bill Gates and Michael Bloomberg to set up a $4 million "anti-tobacco trade litigation" fund to assist with some of the legal costs. That is not a lot of money but the fund also seeks to set up a network of attorneys, many of whom are going to work pro bono on this issue. Tobacco companies argue that they are protecting their investments and intellectual property rights. Gates and Bloomberg argue that it is the sovereign rights of nations to pass laws that protect the health of their citizens and believe it is necessary to support countries defending these rights against tobacco companies. My take on this is a little different. There has been a growing movement to liberalize the use of intoxicating and addicting drugs in this country. The growing legalization and commercialization of marijuana is certainly the best example. There is also more in the press about how benign hallucinogens are and how cognitive enhancement from stimulants may be a legitimate activity of students at all levels. There tends to be less debate about opiates in the midst of an epidemic of excessive accidental drug overdoses, but I think it is important to recall that the epidemic started with a call to prescribe more opiates and diagnose more Americans with chronic pain syndromes. It is one thing to talk about a person with a chronic medical illness smoking marijuana in a contained manner. It is quite another to think about how the commercialization of addictive drugs works and how a business responds to regulation when there is clear evidence that their product has adverse effects and needs tighter regulation. Elected officials also frequently get into the act and declare that tax revenues from the commercialization of addictive compounds will be a windfall for taxpayers without a careful analysis of the attendant costs. The motivation of tobacco companies could not be clearer - use proven marketing techniques to get people into smoking, all the while knowing that it will be difficult for them to stop. The lesson here is that addictive drugs are good for business and marketing restrictions are not. I would not be shocked to find that as marijuana and (possibly) other street drugs are legalized and commercialized that they would get some of the same early regulatory leniency that cigarettes had before there was overwhelming evidence that tobacco should be avoided rather than encouraged. 1: Newcomer JW, Hennekens CH. Severe mental illness and risk of cardiovascular disease. JAMA. 2007 Oct 17;298(15):1794-6. PubMed PMID: 17940236. Supplementary 1: Image is in the public domain courtesy of the CDC and Deborah Cartagena at the CDC Public Health Image Library. Image #14541 accessed on March 20, 2015. I read the article "The Future of Psychiatry as Clinical Neuroscience. Why Not Now?" by Ross, Travis, and Arbuckle in JAMA Psychiatry and found little to disagree with. I was in one of the venues a few years ago when Thomas Insel, Director of the NIMH talked about a clinical neuroscience rotation for neurology, neurosurgery, and psychiatry residents to bring neuroscience to the clinical side of things. Unfortunately he was a lot less enthusiastic about it when I sent him a follow up e-mail and at that time suggested it would probably have to wait for some time in the future. As a long time neuroscience enthusiast, I have always found the reluctance to head in this direction puzzling. On a historical basis, neuroscience has always has a prominent role in psychiatric theory. One of the arguments against neuroscience has been that there are no clinical applications. Even back in the day with Alzheimer, Nissl, Kraepelin and other German neuropsychiatrists were studying brain anatomy of patients in asylums, there were important correlations - most notably those consistent with both Alzheimer's Disease and Binswanger's Disease. About two decades later, Constantin von Economo penned his treatise Encephalitis Lethargica - Its Sequelae and Treatment and described conditions that were relevant right up to the point that I started my training in the 1980s. Being a practicing psychiatrist with an interest in neuroscience presents a variety of CME events ranging from behavioral neurology and developmental pediatric conferences in Boston to the annual Movement Disorders conference in Aspen. 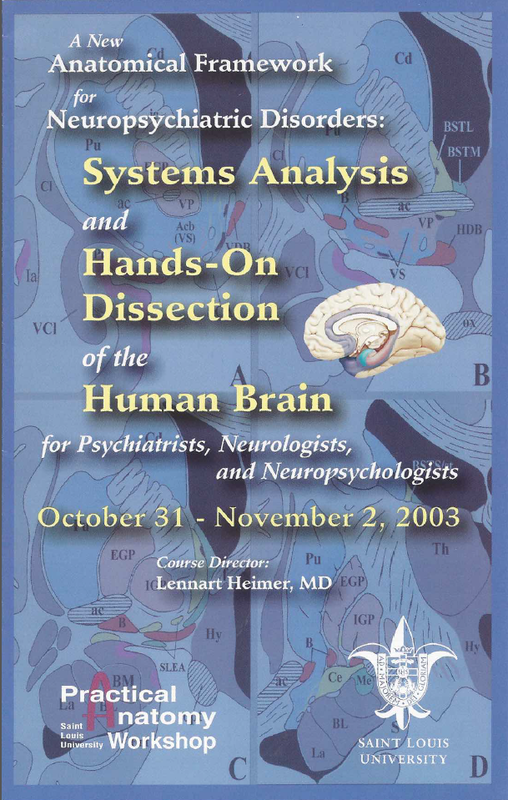 There were the occasional very unique courses, like the brain dissection course run by the late Lennart Heimer, MD and a faculty of outstanding neuroanatomists. But most of the neuroscience in psychiatry is typically packed into a course that focuses on the specialized diagnosis and treatment of specific disorders. A good example would be the American Association of Geriatric Psychiatry (AAGP) courses that would include a detailed discussion of Alzheimer's pathology and vascular dementia and how they might not be that disparate at the microscopic level (that was also an ongoing debate in the movement disorder conferences). In an AAGP event there would be 1 lecture out of 7 for that day devoted to neuroscience. On the teaching level, neuroscience has always been there in the form of neurotransmitters, localization of cognitive and neuropsychiatric disorders associated with various brain lesion and insults, cell signaling, and plasticity. In the past 20 years there has been an unprecedented integration of neurotransmitters and specific brain structures as seen in this diagram of the ventromedial prefrontal cortex. 1. Contract with the top neuroscientists in psychiatry to come up with the syllabus. From the reviews in review edition of Academic Psychiatry (reference 4) there are already residency training programs that have come up with a systematic approach to this training. There should be a place for all programs to post what neuroscientists and researchers consider the top areas for focus. From the reviews mentioned in the above narrative it is very likely that there are fairly complete syllabi at this point but looking at the reviews in Academic Psychiatry they seem to be fairly disparate in terms of what faculty see as the most relevant. The vignettes prepared by the NIMH (reference 2 and 3) are illustrative of what is possible. If I was designing a curriculum, I would want every possible concept that could be illustrated in these vignettes and build the course work around that. 2. Develop neuroscience teaching as a specialty. I doubt that there are enough neuroscientists around to teach the subject to psychiatry residents. A group dedicated to teaching neuroscience and neuroscientific formulations would be a logical approach. There are currently plenty of nonscientist faculty with an interest and more than a passing knowledge of neuroscience. 3. Develop a repository of graphics and teaching materials. There is no area of psychiatry that could benefit more from high quality graphics for teaching. Current faculty engaged in teaching need to run a gauntlet of copyright related issues ranging from implicit copyright permission (yes you can use for teaching without going through Copyright Clearance Center) to repetitive licensing fees that are difficult to track. All of those problems are from publishers controlling these rights and in some cases charging unrealistic amounts for reuse of some of these works. Open access work is a potential solution but it is doubtful that enough graphics currently exist to illustrate key neuroscience principles. A coalition of residency programs can potentially contract for the production of custom figures for a central repository that could be used in residency programs across the country. There is already a precedent for this process with the psychopharmacology course available to residency programs from the American Society of Clinical Psychopharmacology (ASCP) who produce a large number of PowerPoints that are available to residency programs for a very reasonable fee. 5. Don't forget about addiction science. The field of addiction has contributed immensely to understanding how the brain functions. In many cases psychiatry residents have minimal exposure to the treatment of substance use disorders and the associated syndromes and that could potentially strengthen both those areas in any residency program. 6. Hold annual review courses. The field as it applies to psychiatry contains neuroscience spread across gatherings for psychopharmacology, geriatric psychiatry, general psychiatry, child and adolescent psychiatry, sleep medicine, addiction medicine and behavioral neurology. There should be meetings across the country that focus on the necessary neuroscience and formulations presented by the top experts in the world with that focus. I try to keep up with Nature, Science, and Neuron and the Science Signaling series as a cost effective approach to learning new developments about neuroscience and whatever open access journals that seem to have the best content. There are top journals that are too expensive or require memberships where the threshold is set for researchers and not teachers. A good general approach to how to approach the literature would be very useful for most of the teachers and some of the expensive journals might offer packages for teachers rather than researchers. I can recall that when I interviewed for residency positions and asked about department recommended reading lists there was only one department who provided one in those days. I will let readers guess about which department that was. 8. Reviewing imaging studies and teaching files. Some of the best neuroanatomical preparation and training in my career came from reviewing imaging studies with radiologists, neuroradiologists, neurologists and neurosurgeons. Current electronic medical records make viewing imaging studies easier than at any time in the past. There is no better learning procedure than to organize findings, order the test, and confirm the problem. That is possible currently if you treat a lot of patients with apparent lesions on imaging but functional imaging is becoming more available it has the potential to revolutionize psychiatric practice. As an example, listen to the story called How To Cure What Ails You and an enthusiastic Eric Kandel talk about the importance of the anatomical substrate (reference 5) in psychiatric disorders. These are some of my current ideas. I look forward to the day that a neuroscientific formulation about what might be relevant is contained in the same paragraph that includes social and psychological formulations. It will also put psychiatrists back where most of us belong - seeing people with the most difficult problems rather giving out advice on how to prescribe antidepressants. 2: National Institute of Mental Health neuroscience and psychiatry modules. 2012a. Available at http://www.nimh.nih.gov/neuroscience-and-psychiatry-module/index.html. Accessed on March 16, 2015. 3: National Institute of Mental Health neuroscience and psychiatry modules: 2012b. Available at http://www.nimh.nih.gov/neuroscience-and-psychiatry-module2/index.html. Accessed on March 16, 2015. 4: Coverdale J, Balon R, Beresin EV, Louie AK, Tait GR, Goldsmith M, Roberts LW. Teaching clinical neuroscience to psychiatry residents: model curricula. Acad Psychiatry. 2014 Apr;38(2):111-5. doi: 10.1007/s40596-014-0045-7. Epub 2014 Feb 4. Review. PubMed PMID: 24493360. 5: How To Cure What Ails You. Radiolab Accessed on March 17, 2015. The header to this article is all of my copies of The Biochemical Basis of Neuropharmacology and the book I consider to be its successor Introduction to Neuropsychopharmacology. New editions of BBN came out in 1970, 1974, 1978, 1982, 1986, 1991, 1996, and 2003. The copy with the white cover in the middle (a little faded) was the first copy I owned. In those days I wrote the year I purchased books in the front jacket and that year was 1984. This book with its elegant little drawings and low purchase price served as an introductory neuroscience text to many classes of psychiatry residents. "This is the crux of the whole thing," said Wanda Kuehr, a psychologist who agreed to speak out about the problems after retiring Feb. 2 as the program's director of clinical services. Non-medical managers want to "get the reports in on time and fill the slots. They think that makes a good program. Our goal is to give treatment to soldiers. And (the bosses) see that as inconsequential ... What's happening to soldiers matters and the Army can't just keep pushing things under the rug." The report details what happened when the Army's outpatient substance use clinics were shifted from medical oversight by the Surgeon General's Office to the Installation Management Command. This change occurred in 2010. Some of the changes noted are striking including a basic error in hiring an unlicensed counselor. Since 2010, 90 soldiers committed suicide and 31 of those suicides occurred after reviewers concluded that there was substandard care. They could not conclude that the substandard care was causal. Review of additional data showed that 7,000 soldiers were identified as having a problem but not offered treatment. Half of the 54 substance use clinics were rated as substandard, specialists identified "poor continuity of care" as a problem, and staff attrition as a significant problem. Only 309 of 352 counseling positions are currently filled. The same article estimates that 104,000 soldiers have drinking problems. What is the significance of this report? I don't think there is anything unique about what happened to the Army's substance use clinics when the management changed. It has been happening everywhere else for at least 25-30 years. Before that time, medicine and specialty departments were managed by senior clinicians based on merit. The department heads were active clinically and they were valued for their clinical and research expertise. Some of the most valuable teaching experiences I had during my training occurred due to direct contact with these department heads. Reviewing brain and spinal imaging with the head of the Neurosurgery Department. Doing rounds at night with the head of the Renal Medicine Department. The list goes on. The point is that all of these experts were engaged in treating patients and teaching medical students and residents. They had an intimate connection with the provision of care and the profession. Many of them also had great personalities. So what changed? They changes were subtle at first. When the managers took over they decided to replace some of the department heads at the periphery. Suddenly there was no longer a certain department that people counted on and their duties were subsumed by another department. The dislocated clinicians either quit in frustration or were relegated to a more peripheral role in the clinic or hospital. They could no longer support a teaching mission and suddenly that block of knowledge was no longer available to students. These experts were consulted in complicated cases to back up the generalists who were now seeing their patients. The next step by the managers was to suggest that productivity in the larger departments was uneven. They suggested that they had a metric so that would assure that everyone in the department was pulling their weight. When I first heard that explanation, I looked around and concluded it was a myth. Everyone in my department was a hard worker and that was borne out by the actual numbers. The numbers were the real story. The rhetoric had allowed the managers to introduce a system to manage productivity that was completely subjective. But that was all the managers needed to develop a system to manage knowledge workers like production workers even to this day. Why would anyone want to be a manager? Well it seems like easy work if you can get it. Instead of dealing with complex problems that require you stay current in a certain body of knowledge, interact with people in an ethical way, and have extremely high levels of accountability why not just manage numbers and tell people what to do - especially people who are as politically inept as physicians and their professional organizations. If I ask physicians that question, I usually hear that being a manager or studying business would just be "too boring." That may be applying a medical metric to business that could be far from the mind of managers. Some business educators and critics have pointed out that over the past 2 decades, there is evidence that managers have developed who are focused on short term results and in some cases "the pursuit of short-term shareholder interest, as well as naked self-interest on the part of managers, into managerial virtues." (reference 2). Instead of a manager who knew and was promoted from within the business and who had a vested interest in the quality of the services and interests of the employees, we now have a class of managers who are mobile, highly paid, and have no particular expertise in the affected business. Piketty notes that the United States has invented a "hypermeritocratic society" of "supermanagers". These supermanagers are typically executives of large firms who have been able to obtain "historically high, unprecedented compensation packages for their labor." He also concludes that "the vast majority (60-70%) of the top 0.1 percent of the income hierarchy in 2000-2010 consists of top managers."(p. 302). I don't know Piketty well enough to say what his conclusions about why this meritocracy exists. He does point out that it is twice as likely to occur in the financial services industry. There are interesting parallels in the management of financial services and medicine. In both cases, the managing class came about largely as an invention of federal and state governments. The invention of the manager's tools in medicine (billing and coding, utilization management, prior authorization, managed care) parallels the development of credit reporting and the ability of financial manager to put your savings and retirement funds at risk all of the time without offering you any compensation for the use of your money. Both of these systems are subsidized by huge hidden tax subsidies from American taxpayers. When I try to talk with people about this problem their eyes glaze over. Advantage to both the financial and business managers. In the meantime, when you drive by your local hospital and it claims to be one of the "Top Hospitals in the US" - don't be surprised to learn that there are at least 600 hospitals on that list. 1: Greg Zoroya. Investigation: Army substance-abuse program in disarray. USA Today. March 12, 2014. 2: Rakesh Kurana. MBAs Gone Wild. The American Interest. July 1, 2009. 3: Thomas Piketty. Capital in the Twenty-First Century. The Belknap Press of Harvard University Press. Cambridge, Massachusetts 2014. "I realize that some people who are involuntarily hospitalized are terribly traumatized, which is why I'm writing the book. I don't think psychiatrists see that and I think if it were figured it into the equation, maybe less people would be involuntarily hospitalized (certainly, no one should be forcibly hospitalized for 'sadness' as one of the MIA commenters put it), other alternatives could be found, and more of an effort would be made to treat those where there are no options but involuntarily hospitalized with respect and kindness." I worked in an acute care inpatient setting treating very acutely ill patients for 23 years and thought I would give my impressions to the statement about what psychiatrists see or don't see in people who have been acutely hospitalized, especially on an involuntary basis. I think that there are several critical factors that determine what the experience will be like during those circumstances. There will be considerable variation in the experience based on how these factors are approached. On the units where I worked, voluntary admissions were in the minority. Most people were brought in to the emergency department (ED) by the police or paramedics. They are usually involved when there is an acute behavioral change leading to a safety issue. In that pre-hospital encounter some people are beaten up, maced or tasered by law enforcement. If that happens and the person is in the ED wearing handcuffs that are too tight it can have an effect on the perception of the hospital and its staff following admission. It is also an extremely traumatizing experience. Years of observing this problem led me to problem solve with patients affected by these situations on how they could avoid confrontations with the police. That is not the only source of trauma prior to admission. Fights, accidents, self inflicted injuries, and near death experiences with suicide attempts and accidental overdoses can also happen prior to admission. In some cases, people are transferred from intensive care units where they have been stabilized. Intoxication states including alcohol, cocaine, amphetamines, hallucinogens, and marijuana as well as the associated drug induced mental disorders are overrepresented in the population that gets acutely and/or involuntarily admitted. People with substance use disorders have been systematically discriminated against by the insurance industry for the past thirty years. At that time functional detoxification was not allowed and any patient who was intoxicated was generally denied care in psychiatric units by these same companies even if they had a significant psychiatric disorder. They were supposed to go to "social detox" in county detox units, at least until most counties learned from insurance companies that it is cost effective to not have any resources and just deny care. That means that today more people never get sober and are more likely to have increasing numbers of encounters with the police. All it takes is an episode of aggression or suicidal statements while intoxicated and it can lead to transportation to specific psychiatric hospitals that receive patients from the police and paramedics. In many cases, the hold is dropped after the person is detoxified and they no longer have the behaviors that occur in the intoxication state. In other cases, there are semi-permanent or permanent changes secondary to the substance use and that results in a longer hospitalization. Some patients who develop acute psychiatric states can experience similar changes in their conscious state that result in violent or suicidal behavior. It is common rhetoric to hear that patients with mental disorders are no more likely than non-patients to be violent or aggressive. Averaged across the entire population that may be true but it is also true that there are very high risk groups of people with mental illness. The civil commitment laws in most states were designed for this contingency and a lot of these stories make the front pages these days. Acute agitation and aggression in public or at the time of an emergency call places the person at high risk for a confrontation with the police. In these confrontations anything can happen. One of the functions of the hospital staff is to come up with a plan that will minimize any future risk of this kind of confrontation and to immediately address any physical or psychological trauma that occurred prior to admission. In some cases, ongoing high levels of aggression in the hospital can result in additional physical intervention. The goal of that physical intervention is much different that the police goals and staff have to be trained to provide this kind of treatment. Medication can also be administered in emergency situations and according to state statutes to reduce the risk of injury to patients and staff. One of the more complex aspects of inpatient care is assessing suicide risk and attempting to reduce suicide risk on the inpatient setting. The problem is complicated by the fact that a lot of people with chronic suicidal thinking are assessed as being acutely suicidal and they are admitted. In many cases it is a fine line between thinking about injuring or killing yourself every day for years and then one day deciding that you are going to do it. In many cases people will injure themselves and demand to be released from the hospital. They will deny making the statements even though the documentation is very clear. They will be unaware or dishonest about their potential for suicide or self injury. They may be indignant about being in a hospital even after a serious suicide attempt. Others have very serious suicidal thinking and are quiet and cooperative but may at very high risk for suicide if they are released prematurely. The worst case scenario is the person who suicides in the hospital or shortly after release. The majority of people are able to recognize that there is a problem and work with the staff on resolving it and get released on a voluntary basis as soon as possible. In many cases of acute involuntary hospitalization, the chain of events starts with a family member or friend long before there is any suggestion of hospital involvement. Family members often find themselves in the precarious situation of being concerned about the future patient, but not able to do anything about it. They may have false information and believe that nothing can be done until the person actually "does something." They are fearful about the patient's behavior and the fact that they have become unpredictable. In some of these situations the first event leading to the hospital is an act of aggression or a suicide attempt. The police are called, a crisis intervention team is activated, and the person is placed on a transportation hold and taken to the hospital. Family members respond differently when the patient is admitted to a psychiatric unit. Some family members are angry that the patient was admitted and insist that the patient be admitted to a medical or surgical service. These patients are often geriatric patients who become aggressive at home. Some families are relieved that the admission occurred and their member is in a safe environment and treatment can start. Some families do not want the patient to know that they were involved in getting them to the hospital. Some families get angry and demand that the patient be immediately released. In some cases family members can become violent and threatening themselves. Communication with the family can prevent a lot of misunderstandings and give them a clear idea of what the assessment and plan will be. In some cases, the patient will refuse to sign the necessary releases to allow this communication. Statutes vary from state to state, but in the two main states where I have worked probate courts make the decisions about involuntary hospitalization, civil commitment, guardianship, involuntary administration of medication, and conservatorship. The process is advanced by screeners who gather evidence that can be tested against the statutory language for civil commitment and other proceedings. Contrary to a recent Internet post on the "medical model", impaired insight is not a criterion for commitment and neither is "sadness" as suggested in the original post. The probate court staff and not the hospital staff need to come up with all of the actual behavioral evidence to proceed with the original hold order and any further legal proceedings toward civil commitment. One aspect of these court proceedings that nobody pays much attention to is that (like all American legal activity) these proceedings are contentious. There are two sides and both sides want to "win" according to that model. If any paternalism enters into the picture it typically happens when the patient's attorney recognizes that they are too ill to function and strikes some kind of bargain with the court. Speaking for the clinician side I can say that quality treatment is a more realistic goal than "winning" in any usual sense of the word. The patient, their family, and their attorney can decide that they will advocate for a position that is the opposite of what the hospital staff recommends. In that case, there will typically be a lot more emotion than if there is no apparent alignment opposing the treatment team. In addition to the usual medical and psychiatric tasks of diagnosis and differential diagnosis and treatment of these diagnoses, the main task of inpatient staff is to maintain a safe and therapeutic environment. Given the marginal existence of some of these units that is no easy task. I can recall working on units where all of the patients stood on the other side of the glass and the activity was dominated by young aggressive men with severe personality and psychiatric disorders. If an intimidating environment like that is allowed to exist a significant number of people in that environment will be frightened and in some cases traumatized. Patients who are disruptive due to inappropriate social or sexual behavior or because of dementia can also frighten or anger other patients and that can lead to some level of traumatization or a reactivation of that dynamic. The staff all need to be acutely aware of these potential problems and act to address them. This requires an physical presence of medical staff on the unit. Given the current levels of acuity, inpatient units cannot be run remotely or by administrators. The medical staff present has to be well trained, comfortable with treating severe psychiatric problems, cohesive, and proactive. Physical interventions to prevent aggression or self injury are potential flash points for trauma. Many people who are acutely hospitalized have a high likelihood of past trauma or abuse. The best overall approach is to keep any physical interventions to the minimum and keep the staff well trained in the concepts or therapeutic neutrality and verbal deescalation. In the cases where physical intervention is required, strict protocols need to be followed and quality assurance programs need to be in place to assure that these measures are kept to the very minimum periods of time. The most relevant demographic factor on the part of the patient is a history of abuse, a diagnosis of post traumatic stress disorder and how those variables currently affect them. Some studies suggest that as many as 30-40% of patients have one or both problems. The is relevant not only in understanding their current presentation but it should also guide how the staff interact with them. In an informed environment, with resources it can suggest a course of psychotherapy, but very little psychotherapy typically occurs in most inpatient units. Sociopathy and psychopathy are also relevant variable, since it is unlikely that people with these problems can be integrated into a population of more vulnerable patients without the odds of victimization being very high. Substance use issues can also be very disruptive, especially in environments that are not very secure and increase the risk of contraband being brought into the hospital. Anger is an interesting emotion for a number of reasons. It is hardly mentioned in psychiatric diagnostic manuals but it plays a significant role in inpatient psychiatry. An inpatient psychiatrist can walk in and find that most or all of the patients to be seen that day have significant problems with anger. Anger is frequently seen as a non-specific symptom of psychosis, mania, or personality disorders but it is more complicated than that. There are often different formulations of anger control problems on inpatient units. Assuming the person is not intoxicated it can be paranoia, projection, projective identification, grandiosity, irritability and various symptoms associated with the psychiatric syndromes that correlate with anger and aggression. But there is also the element of anger and how it affects decision making. If you are angry (irrespective of the real cause) you will have a tendency to see your problems as being attributable to another person and to see that other person as being responsible for your problems. This means that if you were angry before you were hospitalized you will see the inpatient staff as being responsible for your problems, even though they had nothing to do with the circumstances of admission. It is also true that is almost all of the situations that I have encountered, the inpatient physician did not initiate the emergency hold. It is typically initiated by an outpatient or ED physician or in some states - law enforcement. Most people in this situation can recognize what happened, but some cannot. Some will remain angry the whole time and for a long time after they are discharged. There is a long line of administrators whose only job is to make sure that patient rights are guaranteed and that no patient is abused or treated in a disrespectful manner. The first official is usually a patient advocate who is a permanent employee of the hospital or clinic. In the state where I work the next line of oversight is an Ombudsman for mental health and developmental disabilities appointed by the governor who has investigative oversight into any hospital or clinic activity that a patient or their family finds to be unacceptable. The Ombudsman can come in to any facility and interview all of the people involved and make their own determination of the merits of the complaint and what corrective action needs to be taken. In the case of physicians the Board of Medical Practice (BMP) has ultimate authority over any licensed physician in the state. All it takes is a brief note on a complaint form to initiate a full investigation into a physician's behavior that involves all of the relevant medical records being sent to the BMP. Complaints are never questioned as far as their accuracy or coherence. The physician in question needs to respond in detail to the complaint. Physicians are never exonerated, a complaint is never assessed as to whether or not it had merit, and complaints are kept on permanent file even if the complaint is dismissed. A finding against a physician can result in fines and restriction or suspension of their license to practice medicine. In the most straightforward scenarios people sober up and/or resolve their crises and they are discharged as soon as any hold can be dropped. In the case of acute intoxication states that don't require extensive detoxification it could happen in less than a day. People are frequently discharged as soon as they are admitted from the ED (they are essentially admitted for a second opinion from a psychiatrist). In more complex crisis situations, collateral information is usually needed to corroborate the patient's baseline behavior and document whether the relatives have had any concern before the hospitalization. As noted in the family section, relatives have varying degrees of anger. Some may show up either demanding the immediate release of the patient or threatening to sue the medical staff if the patient is released and not treated. In some cases there are threats that legal action will be taken if the patient commits suicide or harms someone. All of these factors and any medical and psychiatric diagnoses and treatment plans have to be negotiated in the discharge planning. It should be well known in our society that people are conflicted about mental illness and its treatment. At the level of the healthcare business there is no conflict. Healthcare companies are in business to make money and to a large extent that is how people keep circulating in and out of psychiatric hospitals and emergency rooms. To my knowledge, nobody is ever educated about preventing these kinds of emergencies and avoiding contact with the police and hospitalization. Instead we seem to have plenty of advocates for more risk rather than less. That includes the recent pendulum swing toward more permissive attitudes involving drug and alcohol use. Recognizing that a problem exists that could lead to this pathway is critical for prevention of these episodes and by definition prevention of any trauma that might be incurred on inpatient units. All things considered, I encountered very few situations where there was a question of a person being traumatized on an inpatient psychiatric unit where I worked. I agree that this is an area for further study and that study would need to be carefully done. I know that many people do not disclose what they were thinking or feeling in the hospital until well after they have been discharged. A possibly useful approach might be to offer a post discharge assessment that focused only on the issue of trauma that occurred in the hospital and was totally independent of a treatment plan for the primary diagnosis. In any situation this complex is it possible that some people are traumatized by the experience? Of course it is. Is it possible that some people actually create trauma for their fellow patients and staff? Most definitely. Is it possible that some if not most people recognize that there were major problems before admission that led to this situation and are able to work with the hospital staff to resolve the situation in a timely manner? The answer is again - very definitely. There are a number of mechanisms available to people who feel traumatized or treated unfairly as outlined above. These safeguards vary from state-to-state but similar agencies are available across the United States. In the case of Medicare patients, each state also has a unit to investigate complaints of Medicare patients if they believe they have received suboptimal care or care that was in any way abusive. All of the agencies outside of the hospitals are free of conflict of interest and in many cases they consider it a political plus to take action against any abuse that occurs in a health care facility. As a past Medicare reviewer, all reviews are conducted by physicians who are carefully screened for any potential conflict of interest. Utilizing these resources and conducting further research on this problem is the best possible approach. It is far superior to political debates on the Internet or attacking a person who is interested in studying the problem. 1: Bruce M, Laporte D. Childhood trauma, antisocial personality typologies and recent violent acts among inpatient males with severe mental illness: Exploring an explanatory pathway. Schizophr Res. 2015 Mar;162(1-3):285-90. doi: 10.1016/j.schres.2014.12.028. Epub 2015 Jan 28. PubMed PMID: 25636995. 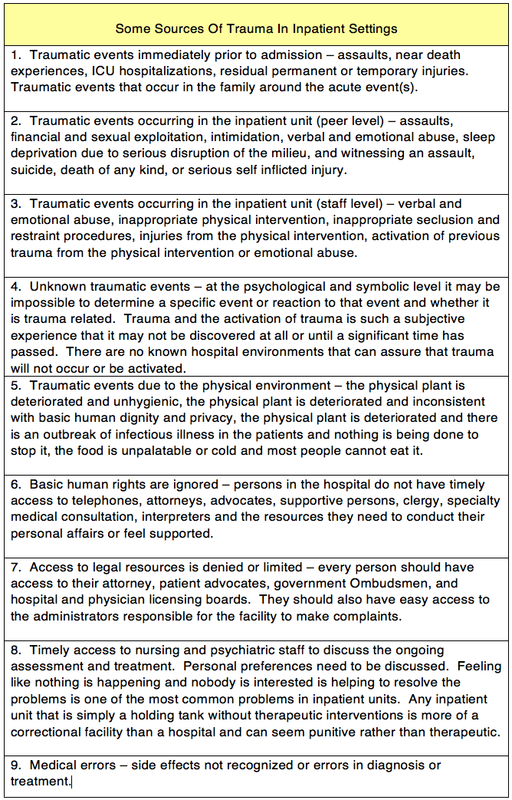 I am interested in any additional factors that I may have missed in terms of sources of trauma on inpatient units. E-mail me what you think and I may include it in an updated table. My views on "integrating" behavioral health and primary care are fairly well known. They run counter to everyone including the American Psychiatric Association (APA) who has been promoting the advantages of "collaborative care". I use quotes here to designate loosely defined terms that have multiple meanings to different special interest groups. I should have also included the term behavioral health because outside of managed care companies, the word really has no meaning. I got a post today in my Facebook feed that stated The Benefits of Integrating Behavioral Health into Primary Care. I encourage any interested readers to search directly for this page on the NAMI web site and take a look at the content. It is in press release format that contains little detailed information. It presents the chronic disease concept and how chronic diseases cause mental illnesses and make them worse. It talked about practice models that look at putting therapists in clinics. It talked about a model that brought a mental health clinician into immediate contact with a patient and clinician in a primary care physician's office, but stated that model lacked sustainable funding. It talked about the promise of telemedicine. Since this was a NAMI event, stigma and destigmatization were also on the agenda and the release ends in a global statement about how this will lead to everyone admitting that mental illness affects us all and at that point the stigma will evaporate. With all of that good news, what do I have against this love fest for integrated care? Just responding to the news release there are obvious problems with the ideas being mentioned. The first is that many of these ideas have been around for at least 30 years. I was hired as the medical director of a community mental health center in 1986 and part of what I was supposed to do was telemedicine through a cable TV and satellite hook-up in the town that I worked. That never materialized. Granted the resources today are much more sophisticated, but how many primary care clinics are really going to dedicate resources so that their patients will be seen in their clinic by an outside mental health clinician? And what about the cost of those services? There are currently networks of mental health clinicians eager to do telemedicine, but they are not eager to provide those services for nothing. The economics of telemedicine is that it needs to be supported and there is no evidence that I am aware of that managed care companies support it. The Veteran's Administration has supported it in some areas, but most health care facilities are not funded like the VA. Putting therapists in clinics has occurred for more than the past 30 years. Part of the problem is what those therapists will be doing in those clinics. Will they end up doing acute assessments for suicide or aggression risk? If they do identify those problems, are patients going to be cared for in those clinics or sent somewhere else? In today's landscape of having no functional psychiatric units, will the primary care clinic now start to accumulate people with acute, subacute, and chronic suicidal thinking? Will there now be security issues related to the same problem with aggression? Is the expectation in these clinics going to be follow up in 3-6 months like many other medical problems? Will there ever be any effective therapy done? Psychotherapy after all is probably a better treatment than all of those patients being put on antidepressants for acute adjustment disorders and grief. Most people in those circumstances notice little effects from the medication. Psychotherapy is after all a better treatment than benzodiazepines for most people put on those medications for situational anxiety and insomnia. Therapists can do great work, but they are also rapidly saturated when they have to see patients for 6 - 10 sessions in follow up. Is there really a managed care company who is going to put enough therapists in a clinic to do some good or are they going to be there just for looks? You know - look here is the therapist for our integrated model. Isn't it great? There seems to be a collective amnesia about how this integrated care model really works and what it is really about. This is really about continuing to ration care for mental illness and psychiatric care. Refreshers on that can be found here and here. Giving everyone in a primary care clinic a very basic screening checklist for anxiety and depression is one of the basic paradigms for all of the integrated care advocates. The patients mentioned in the press release will be especially likely to score positive on these screens. That is true not because they magically developed a new anxiety or depressive disorder, but because they have complicated conditions that are associated with anxiety and depression. If a person has paroxysmal atrial fibrillation when their heart rate suddenly accelerates to a rate of 220 beats per minute, they tend to get very anxious both during those episodes and anticipating the next one. The same thing is true for patients with heart attacks and emphysema. Is checklist screening a good enough approach for these patients? Is following a certain protocol with antidepressants a good enough approach with these patients? So far, the checklist implementation of the "integrated" approach is a low quality assembly line approach that guarantees more exposure to antidepressants and a limited differential diagnosis of what else might account for any psychiatric symptoms. At least one group has determined that broad "screening" for depression (also mentioned in the press release) - does the exact same thing and is generally not a good idea. This is really all about the money. Managed care organizations and governments are still very interested in providing the appearance of care for mental disorders and that is about it. In order to believe that they have some grander plan, an extremely naïve approach is required. The last thirty years of managed care would need to be ignored. That history would include the elimination of functional detoxification units for addictive disorders, the general elimination of psychotherapy, restricted access to psychiatrists and limiting psychiatric treatment to a 20 minute "med check", the elimination of functional inpatient units where difficult problems can be treated in a safe and humane environment, the elimination of resources to treat patients with severe aggressive behavior, and restricted access to medications that people may need due to their unique treatment requirements. The basic concept that managed care was invented and supported by the federal and state governments would also need to be ignored. The ultimate result of having record numbers of people with mental illnesses incarcerated rather than receiving appropriate care for mental illness cannot be ignored. Even as I typed this paragraph additional evidence was building to support my theory that this is a huge subsidy for the insurance industry. A colleague recently posted that there is no "out of network benefits" in New York State and she discusses the ramifications for psychiatric care and psychotherapy. I see this as a flat out continuation of government sanctioned rationing of psychiatric services by the managed care industry. They may want you to go to an integrated care clinic, complete a checklist and take an antidepressant rather than seeing your regular outpatient psychiatrist who is providing more than a medication. Handing someone a depression checklist when they come in to a primary care clinic to get their blood pressure checked is reminiscent of the 1990s approach to pain as the "fifth vital sign", and we all know how well that turned out. A final word about the stigma buzzword. What is more stigmatizing - giving you the medical resources that you need for recovery or having you come to a primary care clinic where those resources will probably not be available and practically nobody in the clinic has experience working mental health problems? That is the basic case against integrated care or what is sometimes referred to as collaborative care. At this point like everyone else I will be leaning back and watching it unfold. The insurance industry and government has so much power they can essentially do whatever they want now. We seem to have a national political forum in health care that leads to an endless stream of bad ideas. And it seems like we always listen to that endless stream of bad ideas rather than anyone who might know what they are talking about.